There is absolutely nothing more powerful than using bible verses when we pray. Praying the scriptures is essential to getting our prayers answered. The truth is that when we use the bible in our prayers it makes praying that much easier. 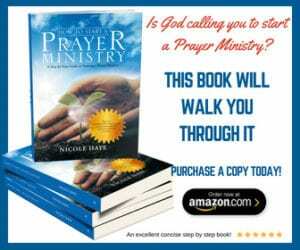 No matter how you feel when you pray, whether you believe it or not, God’s word accomplishes something in the spiritual realm when we use it in prayer. If you need a healing in your body and you don’t feel like your prayers will be answered, the mere fact that you used the scriptures in your prayer brings you one step closer to seeing the manifestation of your healing. 4. A prayer that is 100% perfect is one that is based on God’s word. If we want our prayers to be answered we need to be praying based on the will of God. The way in which we find out the will of God is by finding it in the scriptures. The bible is God’s “Last Will and Testament” that’s why it is called the Old Testament and the New Testatment. The New Testament does not negate the Old but it builds upon it and tells us of all the things that Jesus fulfilled for us by going to the cross. Now that we know the importance of praying the scriptures let’s examine how we do it. 1. Inserting your name or the persons’ name directly into the scripture and praying it as is. You can do the exact same thing by inserting someone else’s name. Father God, thank you that Jesus was crucified for all of my sins according to your word in Isaiah 53:4-5. He died for my complete healing – spiritual, physical, emotional, financial, relational so that I would have peace through His sacrifice and be made whole. Appropriate this truth in my life, in Jesus name, Amen. 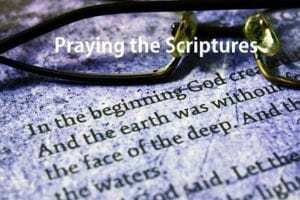 Now that you know how to pray the bible verses all you need to do is find all the scriptures that are speaking directly to your need and pray them.